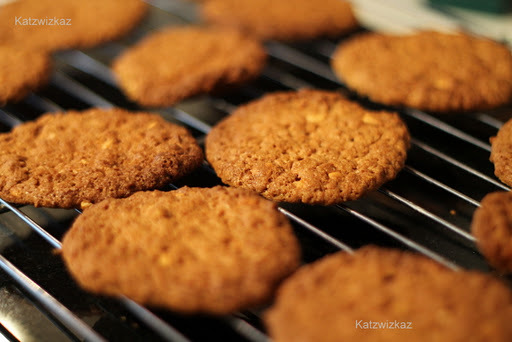 These cookies, are really simple and quick to prepare, and only take about 17 minutes in total to bake.They come from a book from the Love Food range of publications, called 1001 Cupcakes, Cookies, and other tempting treats. Pre-heat your oven to 180C/350F/Gas Mark 4. Line a baking tray with baking parchment. 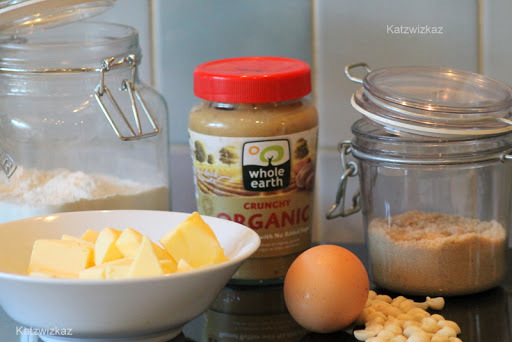 Then, all you do is combine the butter and peanut butter in a bowl until smooth, add in the sugars, and beat again. Mix in the egg and vanilla. 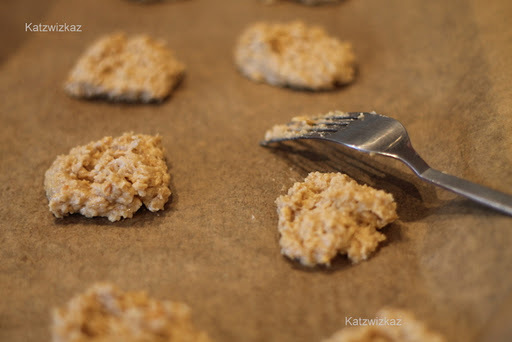 Then sift in the flour, baking powder, and baking soda, and finally, the rolled (porridge) oats, and give it all a mix to ensure the ingredients are combined. Take teaspoons of the mix and place them about 2″ apart on the baking tray and flatten slightly with a fork. I baked these in three batches of 12 per batch. I rotated the tray after 6 minutes, and left them in the oven for a further 5 minutes. 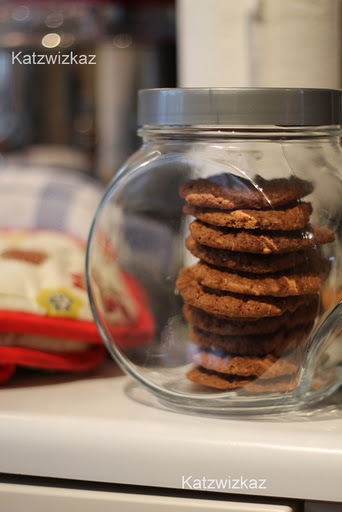 Leave the cookies to set on the tray before placing them on a wire rack to cool. Tip: Do not be tempted to be over-generous with the amount you take up for each cookie. They will spread as they bake, so a little of the mixture goes a long way. Previous Post It’s a long, long, way from Clare to here…..
Ah – the peanut butter. Two of our kids are little American babies and will eat anything peanut butter and the other two (Irish girls) think it is the work of the devil. The Chef makes ours with chocolate chips thrown in for good measure. Chocolate chips… now why didn't I think of that. I find peanut butter claggy on its own, but mixed into something like this changes it completely. Love peanut biscuits – definitely have to try these! Thanks, Yvonne. Remember, less is more!